How much is a divorce attorney? Not that expensive considering that it is a major life event. To often, I hear people say that they cannot afford an attorney. They claim it will cost 5,000 dollars for a simple divorce. That is just not correct. Make some phone calls and tell them what you are facing. Phone calls are free. They should be able to tell you want to expect for cost. Most attorneys take credit cards which allow you to pay over time. This will allow you to focus on you and not the divorce paperwork and process. It also will allow you to ask questions from a professional. A basic divorce with a good efficient lawyer should cost about 2,000 dollars (with no major problems). Work is done over a 3 to 6 month period. Spreading the cost over 6 months your cost is relatively low to get a divorce done correctly and have someone that you can ask questions about your divorce and the process. An attorney will also schedule all of your court appearances. Alternatively you can do things incorrectly. This can cost your thousands in the long run. You can also spend hours trying to figure out what to do. Court staff are not our attorneys they will not help you. They also may give you the wrong advice because they are not attorneys. 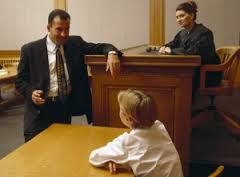 Our divorce attorneys have over 85 years of trial experience with extensive divorce trial experience. Considering the seriousness of a divorce, it is extremely important to retain the legal services of an experienced divorce attorney that knows West Michigan. We welcome you to also browse the Krupp Law Offices PC website for additional divorce resources as well as information on our law firm representing Grand Rapids.